Ten percent of home mortgage accounts in this country are in arrears. AROUND TEN PERCENT of home mortgage accounts are in arrears in Ireland. Every day circuit courts around the country hear dozens of possession cases, many of which involve customers representing themselves in court because they cannot afford a legal team. There have been suggestions that a separate court to assess the cases – and encourage a deal rather than a possession order – could help keep people in their homes. 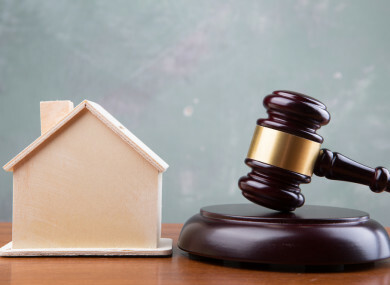 We want to know what you think: Should Ireland have a separate court to deal with mortgage arrears cases? Email “Poll: Should Ireland have a separate court to deal with mortgage arrears cases?”. Feedback on “Poll: Should Ireland have a separate court to deal with mortgage arrears cases?”.